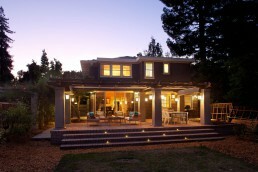 When designers began completely reconfiguring this stunning Palo Alto craftsman-style home, they attempted to not only update the home’s interior, but to bring a fresh new look to the home’s exterior living space. 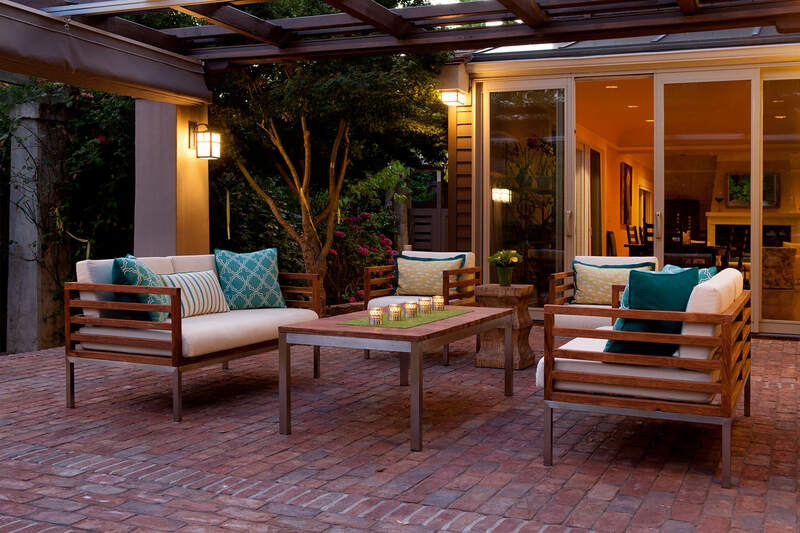 In addition to adding some new florals and landscaping features to the home’s expansive yard, the team contacted ShadeFX to cover the property’s back patio. 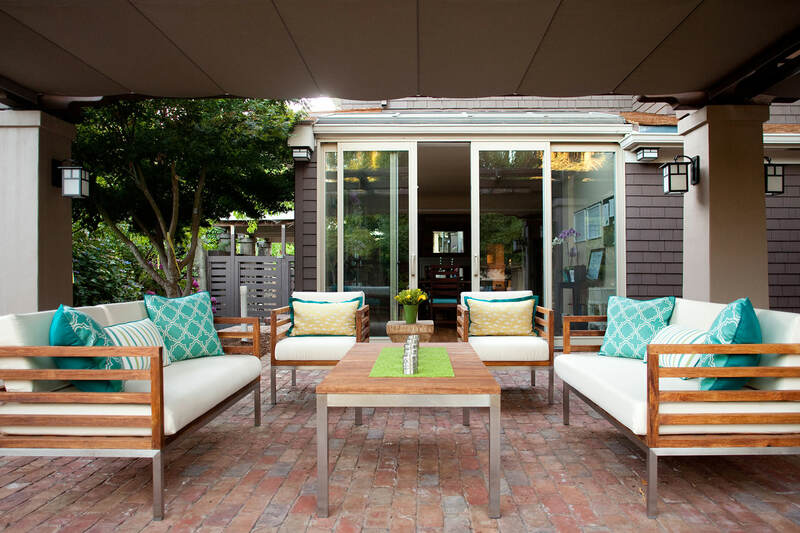 The new landscaping project was added to bring year-round enjoyment to this picturesque outdoor living space and to help the property’s brick patio become a usable area for the whole family to enjoy. 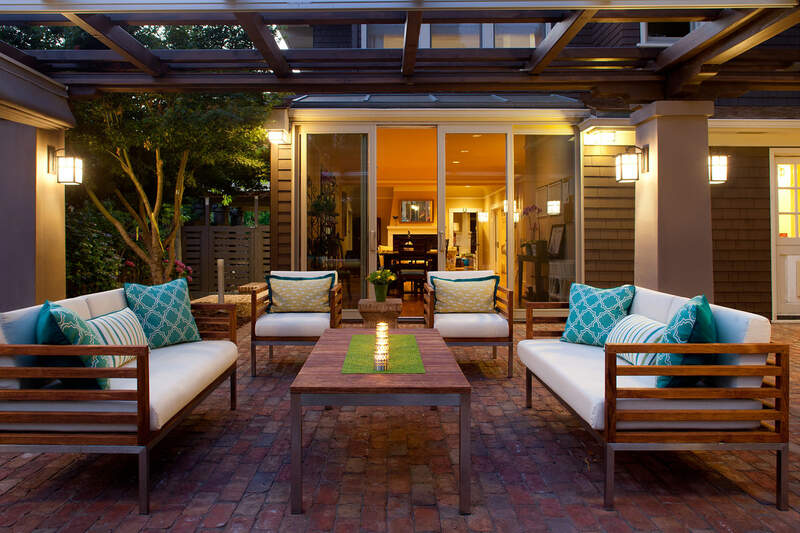 Step out from the home’s updated living space and onto the brick-paved patio to find an expansive outdoor lounge area with retractable protection. 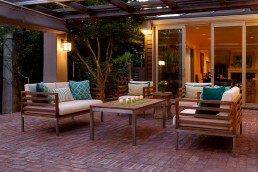 Adjacent to this living space, off the home’s sprawling kitchen, is a separate outdoor dining space. Together, the living spaces complete with inviting outdoor lighting, help add usable space to this family home that can be taken advantage of season after season. 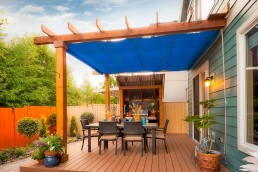 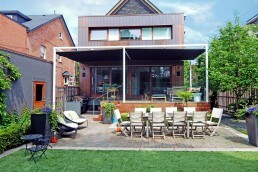 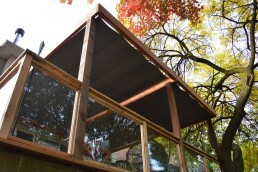 This property features two manually operated ShadeFX canopies that covers both an 18’x10′ and a 10’x10′ outdoor area. 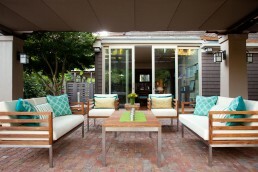 Using Sunbrella fabric (Taupe), these canopies bring shade and protection from the elements to this home’s outdoor living and dining space.